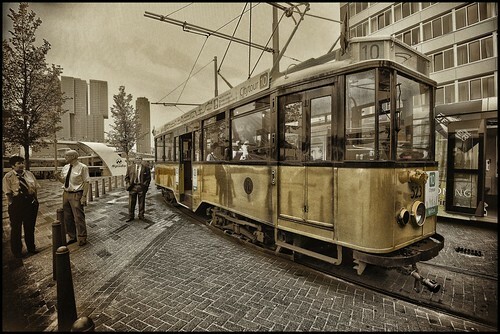 Rotterdam Tram, a photo by Davidap2009 on Flickr. I came across this wonderful old tram while waiting for the river cruise boat. Photo wise the selective colouration is done in Silver Efex pro 2 the rest inColor Efex pro 4 (pre-google) It’s not my usual style but I kind of liked this one enough to share it.